Assassin's Creed Syndicate is this year's entry in the series. It's set in London during England's industrial revolution. It's a classic Assassin's vs Templars set up but the setting seems especially fun this year. The Frye twins are both main characters which is a first for the series. They're Assassin twins with very different, but interesting, personalities. Jacob likes to just wing it or charge into a situation, he specializes in fighting. Evie plans and thinks before approaching a target. She is great at stealth and infiltration. They have separate skill trees so you can build each one the way you want to. But, Jacob has a few end-game powers that make him especially good at combat and Evie has the same for stealth. I honestly love the way these two characters play off each other and interact. It's believable friendly banter that I didn't know I wanted in the Assassin's Creed series, but now that it's here I love it. These are easily the most interesting characters in the series since Ezio. As far as gameplay, things have been refined for the first time in many years. Instead of just bolting on new systems like some crazy Voltron, as they have in the past, it seems like they've stepped back and fixed some of the core gameplay. It's so much more fun to traverse the environment and I don't think I once got mad because my character didn't do what I wanted. The combat feels similar but better than it has in awhile. And it was a huge surprise to find it fun to sneak around again! The best course of action in the last few Assassin's Creed games has been to just charge into an area unless the game absolutely forces you to stealth. Combat was easy and almost every challenge could be overcome with brute force. In Syndicate stealth feels great and it's more fun than it's ever been. And then when you do get detected it's still possible to fight your way out of a bad situation, but your characters aren't gods among men. 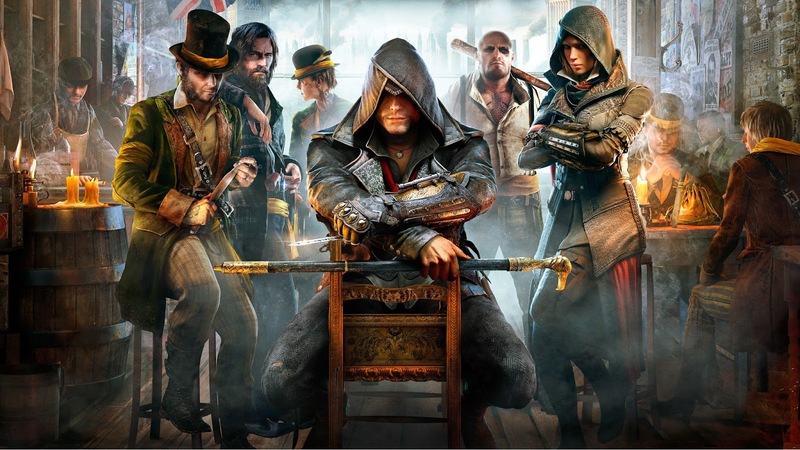 Syndicate is so much better than last year's Assassin's Creed Unity. This one actually has compelling characters, next gen graphics without huge glitches, and has been overall refined. It's my favorite entry in the series since Assassin's Creed Brotherhood, which came out in 2010 and has always been the best Assassin's Creed game in my opinion. I think Syndicate has become my favorite Assassin's Creed game. Right after finishing a game it's always hard to tell how it will hold up long term, but I'm going to let this one percolate in the back of my head. It's really a fantastic game.